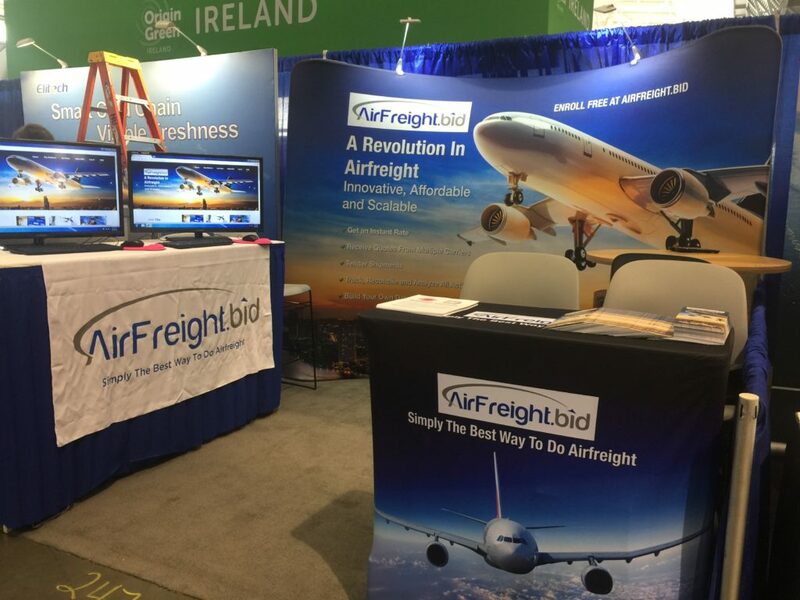 We have had an incredible response to the AirFreight.bid platform at the North American Seafood Expo over the past two days. Karen Butland from Diversified, a big thank you to you and your staff for making this show a success for us. Our IT team has been fantastic with support over the past two days, thank you all. Rovere Media booth design is excellent, great job and thank you. Thank you to the attendees who took part in a quick demo and realize the value of AirFreight.bid and how this proven platform can be a game changer for your business. We are excited to move all of you to the onboarding process over the next few weeks and help you streamline your airfreight procurement process. For some of our potential subscribers, AirFreight.bid will allow them to service new business which has previously been impossible due to the cumbersome process of receiving and tendering airfreight quotes. If you have not had an opportunity to stop by booth # 2475 and take part in a quick demo, please do so. We will be here until 3:00 PM today. If you are unable to stop by today, please contact us to schedule a virtual demo.